Springfield, MA, April 23rd, 2019. For professionals, educators, and families. The keynote speakers will be Gina Gallagher and Patty Terrasi, authors of Shut Up About Your Perfect Kid, A Survival Guide for Ordinary Parents of Special Children. * There will also be exhibitors workshops. Please see below for a partial list, or click the website link provided. 1. Weaving the Way to a Successful School to Adulthood – Presenter: Rick Hawes, Director of Employment Services at Berkshire County Arc. 2. 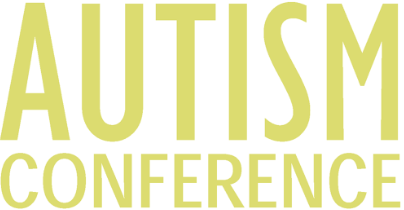 Autism and Me – Presenter: Alison Butler (paraprofessional) and Milan Bonilla-Cruz (student). Presenter: Brian Melanson, Program Assistant at Whole Children; Maggie Rice, Program Director at Whole Children. 4. No More Pencils. No More Books Not More Parent and Teacher Dirty Looks – Presenter: Keynote speakers Gina (Terrasi) Gallagher and Patricia Terrasi. 5. ARICA: Autism and Insurance – What Families Need to Know. Presenter: Amy Weinstock, Director of the Autism Insurance Resource Center at the University of Massachusetts Medical School’s Eunice Kennedy Shriver Center, and an instructor in the medical school’s Department of Psychiatry. 6. Communication Supports for Individuals with Autism – Presenter: Maggie Wurm, Assistive Technology Specialist at Collaborative for Educational Services; Jeanne Tuthill, SLP, Assistive Technology Specialist at Collaborative for Educational Services. 7. Bridging the Gap: Intersection of ABA and Mental Health Counseling – Presenter: Yvette Stoddard, Director of Academic Services – ASD; April Roche, Clinical Director/Clinician; Danielle Miller, Behavioral Analyst; Hillcrest Educational Centers. 8. Grief-Strategies for Dealing With It For People With Autism – Presenter: Shelly Lenn, The Garden: A Center for Grieving Children and Teens, and previously Rick’s Place. 9. The Journey Continues: Successes and Challenges in Adulthood – Presenter: The Panel is comprised of DDS Autism Service Coordinators and adults with autism who will share their experiences. 10. Psychological and Neuropsychological Evaluations: Navigating the Process and Making Sense of the Results. Presenter: David Kieval, Clinical Psychologist with a specialty working with children, adolescents and families.